This may be a total ramble, but I need to just say something that has me with my BP elevated. Yesterday was media day at the Super Bowl. I know that the actual Bowl is not until Sunday, but the Super Bowl has turned into more than just a game, but a total event. The event or circus begins on Monday when most of the nations media begins to gather and broadcast from the location of that years game. This year, for those of you out of the loop, they are in Arizona. During Media Day, Plexico Burress was asked about his impressions of the game. His answer included a statement (no I don't have a quote) that basically said, "We're going to win and the score is going to be 23-17. Well that's all the vultures needed! That has begun a firestorm of discussion as to the reasonableness and validity of the statement, should he have said it, doesn't this just add to the Patriot's desire to win . . .on and on and on and on. Some say he shouldn't have said it. I say, yes he should! And here is my point. Don't you think that everyone playing in the final game of the season should be saying the same thing? Don't you want your team to be in the most positive frame of mind possible? Yes - in fact, I think that all of them should be saying the same thing. Its not arrogance, its just being positive. Realistic or not - you need to believe! Or would you just rather them approach it this way. "Yeah, we're going to go out there and play, but I'm not going to exert myself and get hurt - why try? The Patriots are going to win anyway." I am unapologetic - I want everyone on my team believing the same thing. When a decision is made - you all fight for the same thing. When you have a goal in mind, a vision that is set - you fight for it, all moving toward the same thing. 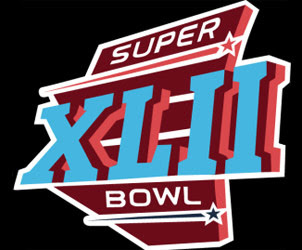 Ok - the next time I have a thought on the Super Bowl, it will be about rotating the location. Amen! And I AM going to win the biggest loser competition by 3/10%. Greg Blog about Stone Mountain, that story had me giggling all day! It is . . .snowing!